In deciding to run for city council representative, Jim Tolbert said, "Now more than ever, we need strong, ethical representation at City Hall. We need leaders committed to a common vision who are willing to put in the hard work to make good things happen for El Paso residents. I want to work with the voters of District 2 to restore integrity and decisive leadership to City Hall." What are the top THREE issues you would like resolved in District 2 and SPECIFICALLY how you would resolve them? First, the number one issue on the minds of many District 2 voters are our streets and sidewalks. This is also a city-wide issue. Our streets are cracked and have pot holes and the lane markers can hardly be seen; many of our sidewalks especially in District 2 are broken and, in some neighborhoods, non-existent – a danger and impediment to our seniors and handicapped citizens. El Paso needs to expand its program to upgrade all of our streets and sidewalks particularly here in Central El Paso. I will work to direct much of the savings from cutting waste in the budget to upgrading our street infrastructure. As an active citizen, I have worked to ensure that current street funds are directed to priorities and not representatives’ pet projects. I will continue to advocate for this approach to funding so as not to waste precious dollars obligated to street and sidewalk repair. Second, our Central El Paso businesses and their many employees need a City which will work with them and not against them. Over and over, I hear from small business owners that they are often hampered by city processes and practices that don’t make sense. There is also little consistency in the interpretation of rules and regulations making it difficult for investors and business owners to invest in our older neighborhoods. I’ll work with the City Council and City Management to monitor our interface with businesses to make sure that we are responding in a timely manner and responding consistently to questions. I’ll work to cut the red tape and any unnecessary regulatory burdens. We want our small businesses to grow; we want jobs to be secure; and we want living wages that will help expand our economy. Third, access to quality senior and community centers and parks is a big concern for residents in District 2. I will work with City staff to make sure that the citizens of District 2 have well- maintained and well-managed facilities and that the budget for maintenance is appropriate for the demand. I will work to ensure that District 2 Quality of Life projects are built to the voters'expectations and within budget. I will work with residents and the City to make sure that all of our Quality of Life projects are first-class facilities that we can be proud of. What are the top THREE issues you would like to address/improve CITYWIDE and how specifically would you resolve them? First, we need to bring ethical decision-making to our local government that allows for open and transparent policies with plenty of community input and no backdoor deal making. I have used tools available to citizens to hold the City accountable for unethical decision making by filing ethics complaints and advocating for more community input. City Management appears unaccountable to the Council and to the public. I will immediately work to address this with my colleagues. Our City Manager must answer questions from the media and operate a transparent and open government. Second, we need to create a growing economy that increases revenue from sales taxes and commercial investment and reduces the burden on homeowners who pay exorbitant property taxes. We must focus on economic development efforts that grow top-notch jobs that pay living wages and complement our strengths (UTEP, Ft. Bliss, Health Services, International Trade, etc.). but also facilitate the growth of our existing El Paso businesses. I will advocate for economic development that focuses on expanding our commercial tax base and capitalizes on the current critical investments in our community such as the Medical Center of the Americas, UTEP, Texas Tech, Fort Bliss, our ports of entry. I will review all of our economic development strategies and incentives with an eye towards increasing job opportunities, living wages, mass transit and housing options that, in the long term, will reduce the burden on our homeowners and provide more opportunities for El Pasoans. Third, we need to preserve and protect our natural open spaces and historical sites thus making El Paso more of a destination city known around the country and worldwide. The resulting heritage and eco-tourism will be a boom to our economy, will help our small businesses, and will cut our debt due to higher Hotel Occupancy revenue. The city’s role in historic preservation has been limited to regulation, much of it burdensome. I want our City to become more of an advocate, working with building owners to find the resources and the partners to invest in their buildings. I have been a strong and consistent advocate for the protection of our natural, open spaces. I have led an effort that resulted in the preservation of 800 acres of land in the Northwest. 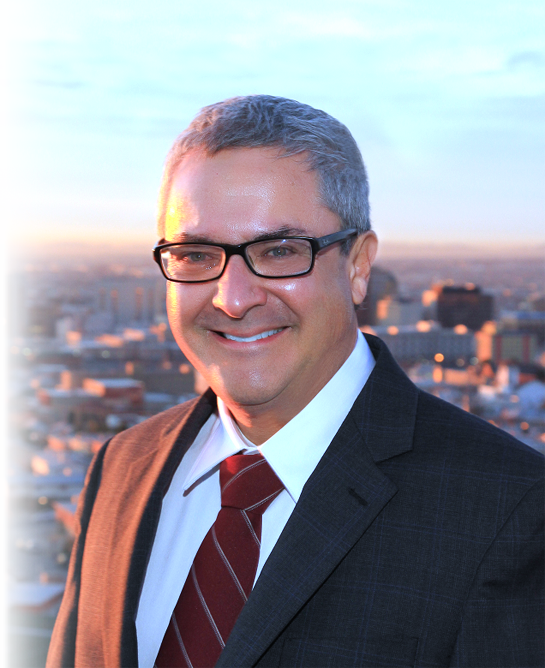 I am currently the chair of the Preservation and Conservation Group for the El Paso Water Utilities. Our panel seeks to define what land can be preserved, what land should be developed and what conservation measures can be taken when developing land. As Director of Celebration of Our Mountains, a fall program of outdoor nature events, I help to encourage El Pasoans to value our natural outdoors and benefit from healthful recreation. I will bring this effective advocacy to City Council and work with City Council to develop an action plan using funds set aside in the Quality of Life bond, funds allocated in the stormwater fee and private resources and donations. How accessible will you be with regard to the media? The El Paso Times often needs to call city council representatives following meetings or as news breaks, will you be open and transparent with media inquiries? I will be open, transparent and accessible just as I have been as local advocate. The media is the best medium to reach as many El Pasoans as possible about policy decisions and news breaks. It is a transparent method to conduct community outreach and notify the public about matters important to them. The media holds those in office responsible. In return, office holders, who were elected by the people, should be responsive to all inquiries from the media. How will you conduct yourself if reelected to represent District 2 and how will you work with other representatives to address issues that arise? I will be courteous and respectful to the Mayor and City Council, City Staff and the public. I will work to build effective and collaborative working relationships at City Hall and in the District. I will represent all of the residents of District 2 but will keep in mind that any action by any representative affects the entire city. Decisions made do not just affect one district but the entire city. This must be kept in mind as members of City Council work collaboratively to find solutions rather than pursue personal agendas. In addition, I will be a full-time representative who listens to all my constituents. The poorest person in El Paso will have the same attention as the richest. Why do you feel you are qualified to represent District 2? The City is at an important crossroads. We need leaders right now who are committed to fixing an organization that is dysfunctional and that has lost trust with the voters. We need leaders who are willing to admit that the City needs fixing and are willing to do the hard work to repair the organization and engage the public in order to rebuild trust. As a citizen and an advocate, I have been actively involved in helping to guide the City Council's decision making for almost 10 years now. I have served on City Boards. I have mobilized my fellow citizens to advocate for neighborhoods, open space, parks and better development. I am familiar with what the City looks like when it is functioning and responsive to its citizens. And I know what the City needs to do to repair itself, to get back on track and to build trust with its citizens. My knowledge of the City and my skills in getting things done in response to community concerns and priorities make me the most qualified to represent District 2 at this time. Which civic or community organizations do you belong to and why? For forty years now I have served on a variety of boards for community organizations and have chaired many of them. I helped to found and was the first President of a shelter in the Texas panhandle for battered women. I served on the advisory board for a center for troubled youth. I helped to begin, served on the board and did the newsletter for a farmers market in Western Washington. I have served on the City’s Building and Standards Commission, the Parks and Recreation Advisory Board, and I am currently Vice-Chair of the Open Space Advisory Board. I am also Chairman of the West Texas Urban Forestry Council, a Board member of Eco El Paso and Vice-Chair of the El Paso Group Sierra Club. I am President of the Newman Park Neighborhood Association, a member of Senator Rodriguez’s Environmental and Sustainability Committees. I am also the Director of Celebration of Our Mountains, El Paso’s fall program of outdoor nature events. I serve to help people, solve community problems and preserve our natural and historical treasures. What have you done specifically to promote the history and culture of El Paso? El Paso is the fifth largest city in Texas but attracts only 2% of tourism dollars. What do you feel that the City of El Paso should be doing in order to claim a larger share of this growing multi-billion-dollar market? Along with my answers to questions 4 and 5 below, there are several actions that our city can take to claim a larger share of the multi-billion-dollar heritage tourism industry. Although there is some brief information about cultural and historical sites on Destination El Paso, the web site of the El Paso Convention and Visitors Bureau, there is a total lack of information about our architectural treasures not just in downtown but throughout our city. Architects such as Trost, Thorman, Welch, Patton and many others adorn our town including District 2 with their commercial and residential creations. The CVB can do more with its public relations and City Council can do more with its policies to bring more people to El Paso and to get more El Pasoans familiar with our architectural masterpieces. Both City Council and the CVB can begin to work side by side with the heritage community in El Paso – our Trost Society, the El Paso County Historical Commission, Six Guns a nd Shady Ladies, the El Paso History Radio Show, El Paso Gold, our history museums, historic districts, the Mission Trail, El Camino Real de Tierra Adentro, our historic sites and historic districts. What do you feel the City of El Paso should be doing in order to preserve its historic architecture? We need to preserve and protect our historical sites thus making El Paso more of a destination city known around the country and worldwide. The resulting heritage tourism will be a boom to our economy, will help our small businesses, and will cut our debt due to higher Hotel Occupancy revenue. The city’s role in historic preservation has been limited to regulation, much of it burdensome. I want our City to become more of an advocate, working with building owners to find the resources and the partners to invest in their buildings. City Council stupidly failed to do an historic survey. Thankfully our County Commissioners agreed to the survey. I stood with our El Paso County Historical Commission at both the City Council meeting and the Commissioner’s Court meeting. This survey will result in a national historic overlay that would mean huge incentives for property owners who wish to restore their buildings to historical standards. A property owner can receive up to 20% of the cost of restoration from federal funds and 25% from state funds based on how faithful they have been to historical restoration. No property owner is compelled to make any restorations; and, as a private property owner, they can do what they wish with their property including tearing it down and putting up a parking lot. Do you feel that the Central Appraisal District’s system for taxing commercial properties creates a disincentive for investors wishing to restore their properties and, if so, how would you propose to fix the problem? In 2015 over 6,000 El Pasoans signed a Franklin Mountains Wilderness Coalition petition asking that all of the undeveloped land owned by the City of El Paso on the western and eastern slopes of the Franklin Mountains be preserved in perpetuity. Do you support this petition? Should the City of El Paso continue to encourage more low density development on the fringes of the City, or should infill and redevelopment become the City's priority. Please explain. Would you change current policies on minimum off-street parking requirements for new housing developments and businesses? Why or Why not? Low density development on the fringes of the City is not good policy. Infill and redevelopment as well as Smart Growth should be the priority. Sprawl contributes to car-centric development and unsustainable infrastructure. Minimum parking is a very complex issue and one size does not fit all. There is a theory that on street parking has a traffic calming effect. It also forces bicycles to intermingle with traffic, which, of course, is dangerous. What do you see as key Quality of Life issues and priorities? There are many: Insure the on-time and on-budget successful completion of the 2012 Quality of Life Projects which was overwhelmingly supported by El Pasoans. The I-10 and trolley construction projects have highlighted the need for better street maintenance and the need for innovative ways to mitigate traffic congestion. There is a shameful lack of neighborhood parks compared to other similar sized communities. Finally, I have a long standing record of environmental activism. Environment protection and leveraging are among my chief concerns. What are some suggestions you have for reducing congestion as construction gets into full swing on our major roadways? Should the City do more, or less, to encourage walking, cycling, and or the use of mass transit to address transportation and congestion issues? Please explain. Obviously we are in the middle of this problem. It’s too late to do some of the things that would have better prepared us for the current congestion including much needed road maintenance on alternate routes. However, there are opportunities during construction when better police presence at key intersections would help. I will make sure those opportunities are not missed by coordinating with TxDOT. And, yes, the city should do a lot more to encourage walking, cycling and/or the use of mass transit. How would you work with Sun Metro to overcome obstacles to providing extended & expanding services and reduce transit travel times competitive with auto travel? Would you promote a city tax incentive to those that regularly commute from home to work and back on bicycles & transit? Improving transit times is important. I will rely on experts in the biking community and at Sun Metro to create and appropriate plan. Incentives are important and finding the right kind of incentive will be a priority. There have been 23 vulnerable road user fatalities this year, how do you intend on fixing this? How would you work with the Texas Department of Transportation (TxDOT) to minimize pedestrian/bicycle collisions & fatalities on state roads (Mesa, Alameda, Dyer, Montana, Paisano, Socorro, Doniphan, I- 10, US 54 & LOOP 375)? What would you do to make our streets safer for ALL road-users? Striping bike lanes is huge. Bike boxes are soon to be tried at Redd and Resler. Traffic calming features such as speed humps when fully vetted by local residents and businesses are very helpful. Better crosswalk signals and timing to insure drivers are not making right turns when pedestrians are crossing is also valuable. What do you consider as components of a walkable neighborhood? What street components you believe are ideal for a healthy community? Wider pedestrian sidewalks with narrower boulevards will provide safer walking, socializing and place-making. Easy access to stores, markets, businesses and places of entertainment are also part of this picture. Narrowed boulevards with bike lanes along with more trees and other vegetation best describe the street scene. Would you champion adding a line item in the City Budget to ensure a fixed number of miles of bike lanes are created each year? Absolutely! There have been many plans for bike paths over the years. They sit idle on the shelf. Until there is a monetary commitment, nothing will get done. Further, allowing the use of regular paint for bike lanes as opposed to thermoplastic coating will allow 5 times more mileage to be established. Would you favor moving trailhead construction and maintenance from Parks to the PSB due to trailheads being intimately associated with PSB property. I support more public-private partnerships which helped to create the Lost Dog Trail at a fraction of the cost proposed by Parks and Recreation. The PSB is the trustee for the City’s property including the land identified in the MOU with TPWD for trailheads. The PSB has a license agreement with the Borderland Mountain Bike Association to build and maintain the “Lost Dog Trailhead”. Lost Dog is the City’s only functioning trailhead. Currently the Parks Department has been in charge of QOL funding for trailhead construction. The list for trailheads developed by the Parks Dept is horribly flawed and Parks has done nothing to develop or move projects forward. The PSB will do a better job. Would you commit to the voters that you will promote outdoor recreational (mountain biking, hiking, rock climbing & bouldering) activities and work to provide more public exposure of these activities at the local, state and national level? I already have. I have been the director and organizer of Celebration of Our Mountains since 2009. Ironically the City has used mountain biking in posters promoting the City. The Puzzler Mountain Bike Race is billed as the toughest mountain bike race. Yet the City hasn’t partnered with the race to advertise the event for increased tourism. The City has spent more on those posters than actually marketing our large State Park all within our urban borders which has remarkable mountain biking and hiking trails completely maintained by the private sector. Hueco Tanks is world renown. Yet the City has not focused on promoting these natural assets. I would team with the Chamber, climbers, and mountain bikers to market El Paso as an outdoor mecca. Will you commit to work and coordinate for a public-funded city-wide mountain bike master plan? Yes, I will. There are lots of opportunities to connect current trail systems. The new pedestrian, biking, wildlife underpass at Tom Mays will allow the connection of the Redd Road Trails with the Trails in the State Park. OSAB needs to re-engage the City to make the aforementioned trails connected to those in far West El Paso including those along the river and those in New Mexico along Pete Dominici. There also needs to be work to in re-creating the Conquistador trail that would connect Palisades with the Redd Road Trails. But most important I will use my position to ensure plans are implemented. Too often the City finds itself paralyzed by lack of leadership. Even when there was a plan, and allocated funds the City has failed to implement. I will not allow this to continue! !